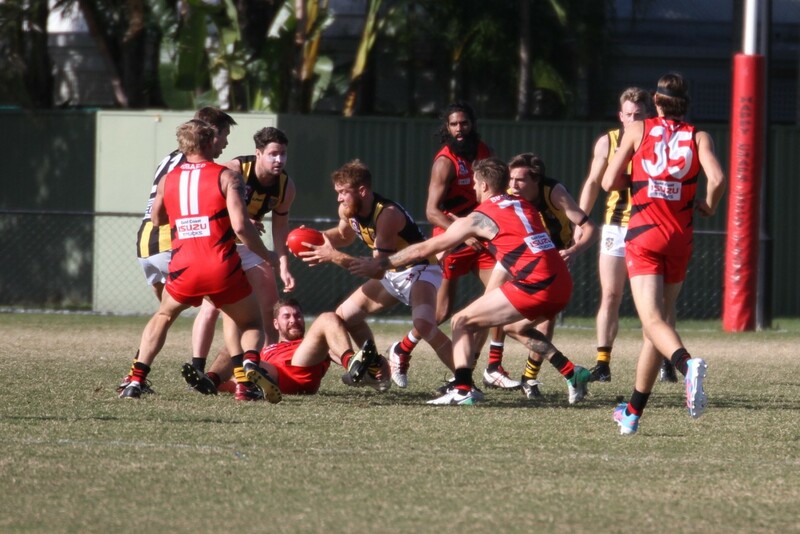 The Tigers bounced back to the winners list yesterday against the Burleigh Bombers at Bill Godfrey Oval with a polished performance across the park. The Tigers welcomed mid season recruit Ryan Holman this week from the Aspley Hornets NEAFL side in a major coup for the club. It was evident that this signing provided a spring in the step of everyone at the Tigers from the players to the coaching staff. Head Coach Chris David proudly announced the NEAFL star’s signature had been achieved earlier in the week bringing together three former Goondiwindi Hawks with Holman having a junior connection to Club Captain Jack Collings and Corben Sellen. 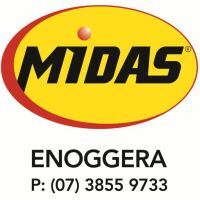 They last played together in an under 12’s premiership team on the Darling Downs. 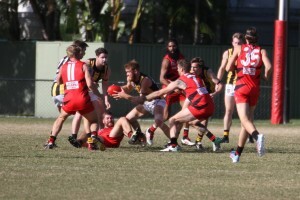 The Tigers got off to a strong start with the first three goals before the Bombers star forward Calhan McQueen responded with two quick goals. The Tigers settled with another to take a two goal lead at the first break. The Tigers piled on the pressure with a five goal second quarter to take a four goal lead into the main break with multiple goal scorers. Veteran Sam Paterson was a prime mover for the Tigers with his usual hard ball gets while Jack Collings was also critical to opening up the game. After the main break the Tigers continued to increase their lead despite the hard work of the Bombers who weren’t able to capitalize up front due to the great spoil and run from Dean Hartley and Zac McLean. Fraser Thompson was a welcome return to the Tigers defence freeing up Adam Mueller to be a focal point for the Tigers. The multiple scoring for the Tigers led by Josh Griffiths was also a feature of the contest with eight goal kickers. Ryan Eyles continues to play an important role creating turnovers and support for the Tigers small men while young ruckman Dan Schmidt was strong and mobile. In the end, the Tigers ran out easy winners finishing off the last term with the last three goals to add some handy percentage and confidence. The Tigers moved back into the top five with the win to be one game ahead of Aspley in a congested middle of the ladder. In another must win game, the Tigers will play Coorparoo at Coorparoo next week in a return clash. The Tigers overcame the Coorparoo Kings last time they played in the Anzac Day game, but the Kings have been very successful since then so it is expected to be an exciting encounter. Goals: J Griffiths 4, C Sellen, C Massingham, Z McLean, N Holleran 2, X Craven, A Mueller, E Newman 1. Best: S Paterson, R Eyles, J Collings, D Hartley, J Griffiths, D Schmidt.